Centennial Parking Plaza | Cary Kopczynski & Company, Inc. 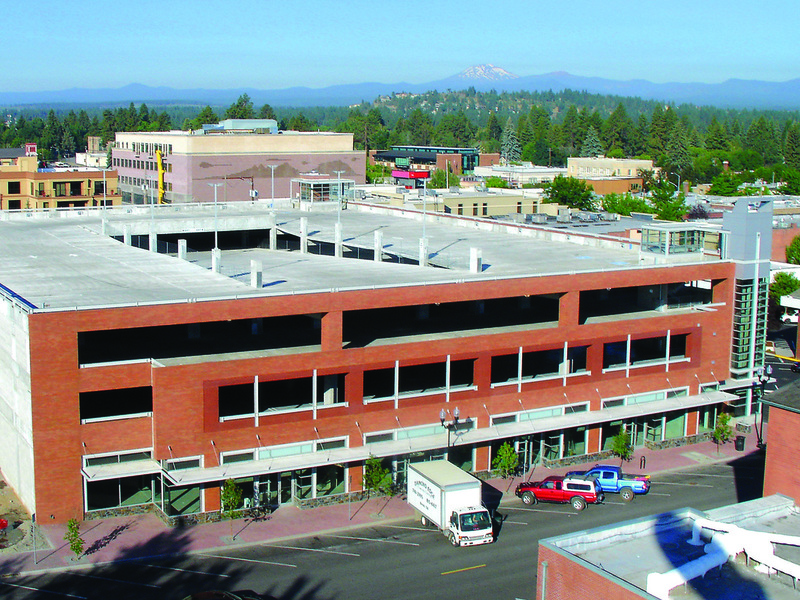 Located in the heart of Bend, the Centennial Parking Plaza offers local residents, downtown employees and visitors a positive parking experience. 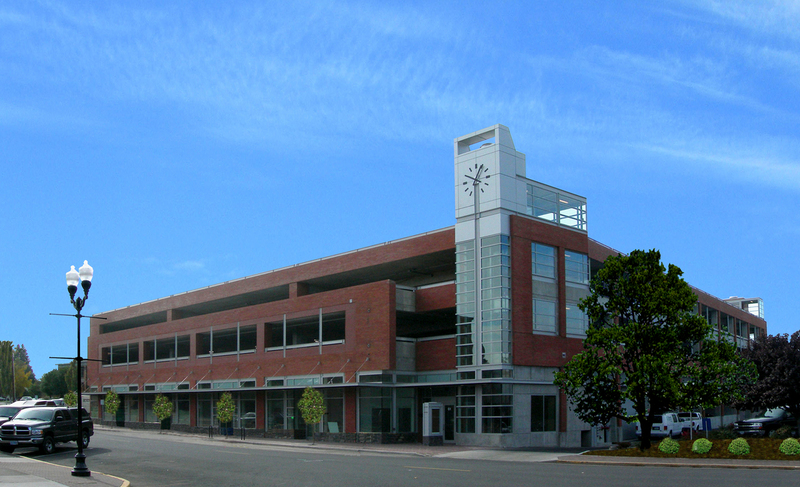 As parking was limited before the garage was built, this five-story facility was much needed to accommodate the city’s growth. To create an open structure, cast-in-place post-tensioned concrete was chosen as the framing system, with a long-span internal layout free of columns. Cast-in-place concrete allowed use of a perimeter frame for seismic resistance, eliminating the need for internal shear walls and creating long, open sight lines. The Oregon Concrete and Aggregate Producers Association awarded the project First Place in its annual competition for excellence in design, engineering, and construction.